2019 begins with some sporadic running trouble with Blue Bess which was initially, and erroneously, attributed to air leaks at the inlet manifold gaskets. Consequently, these were replaced anew with home-made items, as shown below. This seems to get the car back in working order and Deep Blue is therefore put away for some work which will have to concentrate on the rear lights and the rear windscreen heater. All were sorted by just cleaning and bending connections and repairing broken wires. Just as these problems are sorted, Blue Bess fails again completely on the A3 (her favorite breakdown spot) which thankfully was having roadworks, so we were able to pull into a coned-off area and wait the 1.5 hours for the AA to turn-up. 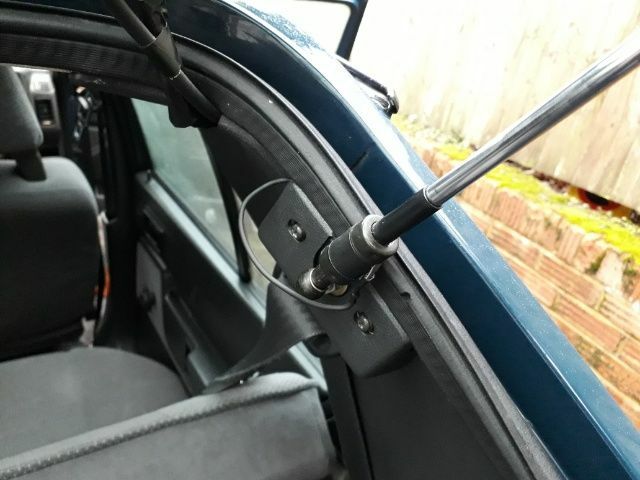 The AA man became convinced it was the electric fuel pump which I had fitted some 18 months earlier, but no amount of jiggling the wires and tapping it with a hammer would restore its functionality, so the car had to be towed home. The next day I very skeptically tested the fuel pump and to my amazement I also found that it certainly did not work. 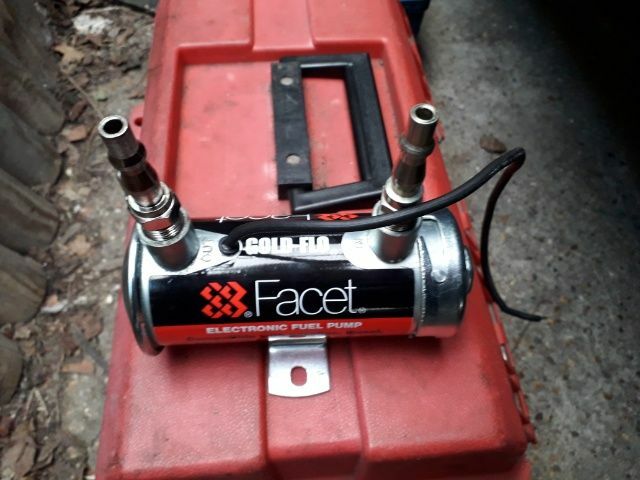 Hence the following day was used to fit a spare pump which I had, but this too was found not to work, even when tested by connecting it directly to the battery. Hence another electric pump was ordered from the internet and was patiently fitted. 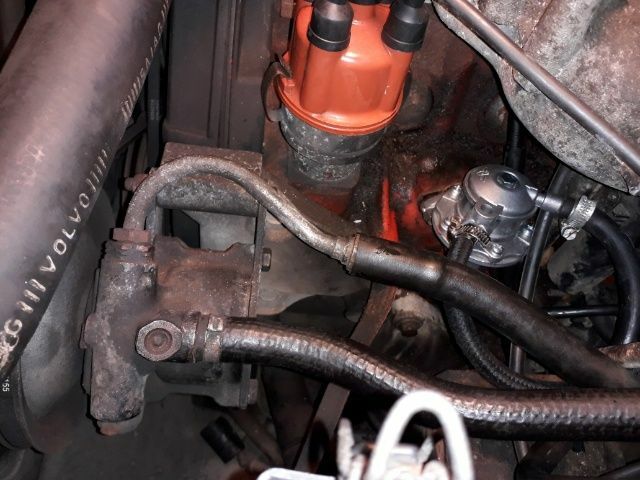 This new, more powerful pump, which required air-line fittings and bigger hoses, definitely did work, however it was altogether too powerful and caused fuel to leak profusely from every nook and cranny in the carburettor. 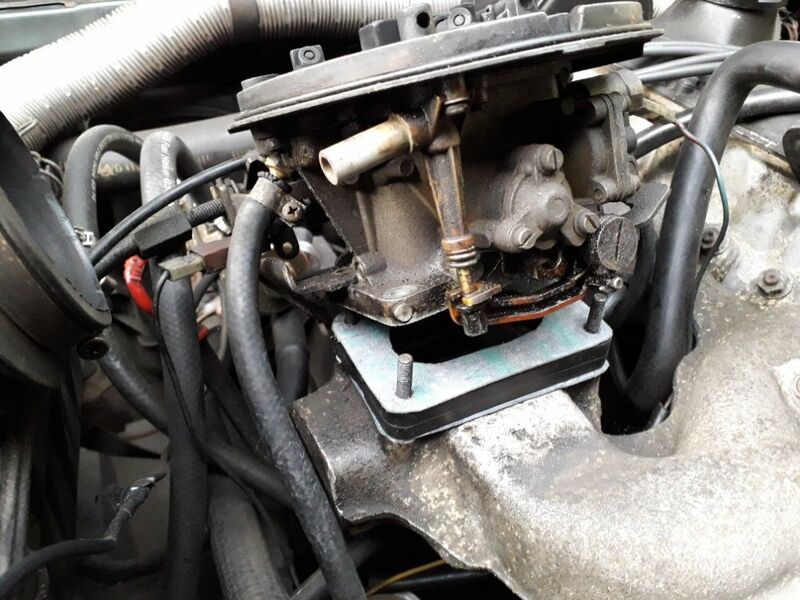 At this point, a phone call to a 340 expert suggested that since the distributor and the oil pump were working, the mechanical fuel pump should work too, because it is driven by the same (intermediate) shaft in the engine. 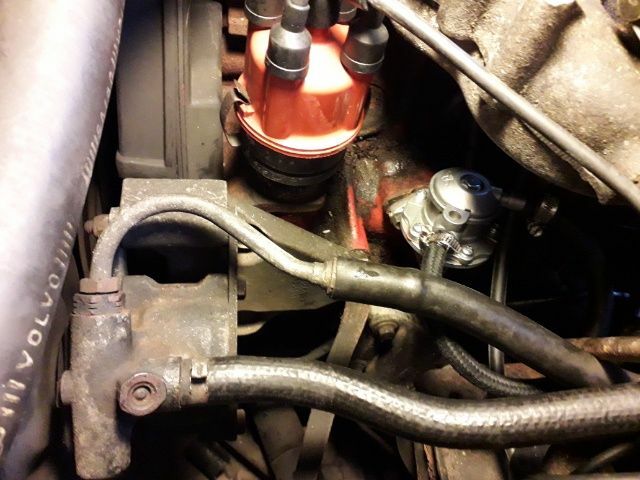 Hence, I decide to have another go with a mechanical fuel pump and so one is ordered from the internet and a couple of fresh bits of smaller fuel hose are purchased to allow it to have really perfectly-fitting pipes when tried for the first time. The new fuel pump (the fitting of which was pretty agonising, thanks to its spring-loading) can be seen below. 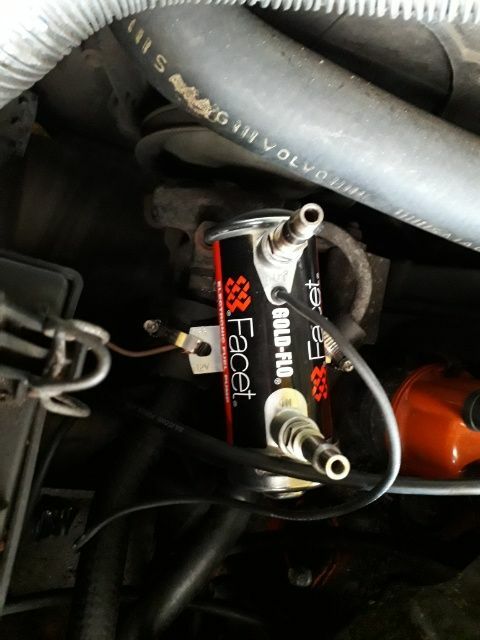 Now in March 2019, and to my amazement, the mechanical fuel pump was found to work perfectly and keep the engine running happily with no leaks or stalling at all. So now its time to get the MOT sorted and she was duly booked in for this at the local garage. However, she failed on 3 tyres (ouch, but this was easy for them to sort) and nearside welding (double ouch, but not so easy to solve). 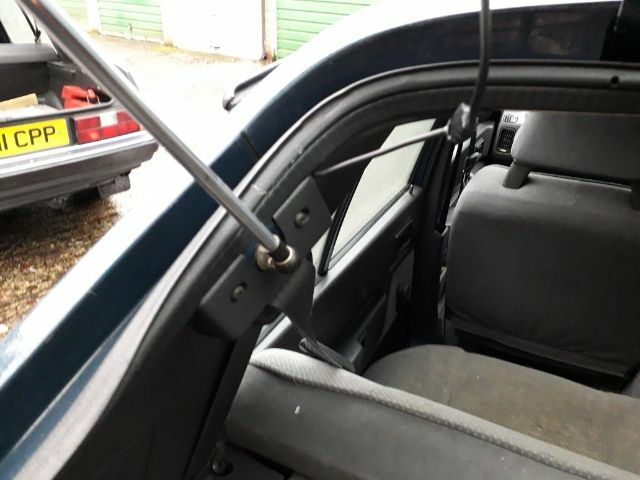 The garage asked for a repair panel to be purchased and I have since managed to get a panel which is about as close to what they requested as possible, so I am currently waiting for it to arrive so that the garage can begin the work. As of early April 2019, the panel has arrived and is awaiting the garage to cut out the old metal and weld it in place.